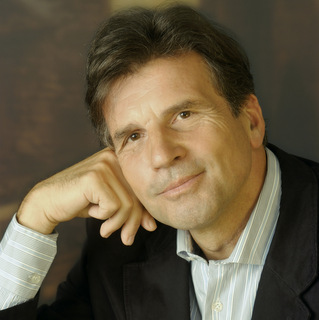 Wolfgang Holzmair was born in Vöcklabruck, Austria, and studied at the Vienna Academy of Music and Dramatic Art with Hilde Rössel-Majdan (voice) and Erik Werba (lied). He performs in recital throughout the world with regular appearances in London, Vienna, Lisbon, Amsterdam, New York, Washington, at the Risör Festival (Norway), BathMozart Festival and Oxford Lieder Festival (UK), Menuhin Festival (Switzerland), Bregenz Festival and Carinthian Summer Festival (Austria). Alongside his outstanding artistic relationship with the British pianist Imogen Cooper and his collaboration with a number of important accompanists, he performs with some of the leading pianists of our time. Wolfgang Holzmair is also active in the opera world. In recent seasons he has sung Papageno and Eisenstein in Dallas under Graeme Jenkins, Faninal Der Rosenkavalier in Seattle under Asher Fish and in Hong Kong under Edo de Waart, Don Alfonso in Lyon under William Christie and in Toronto under Richard Bradshaw, the Music Master Ariadne auf Naxos in Madrid under Jesús López-Cobos, Wolfram Tannhäuser in Erfurt under Gugerbauer, Eduard Neues vom Tage by Hindemith in Ancona, Demetrius A Midsummer Night’s Dream in Toronto under Anne Manson, the Father Hansel and Gretel in a tour of Japan under Ozawa, the title role in Daniel Schnyder’s Casanova for the Mehuhin Festival Gstaad, Masino in Haydn’s La vera costanza in concert performances in Cologne and Agamemnon Iphigenie in Aulis by Gluck/Wagner in Paris and Cologne. Equally in demand on the concert platform, he has sung with leading European and American orchestras, such as the Israel Philharmonic, Berlin Philharmonic, Vienna Symphony, Leipzig Gewandhaus, Dresden Philharmonic Orchestra, Cleveland and Concertgebouw Orchestras and the Orchestra of the Age of Enlightenment, under eminent conductors including Blomstedt, Boulez, Chailly, Frühbeck de Burgos, Haitink, Harnoncourt, Kreizberg, Norrington, Ozawa. Some recent concert appearances include Mahler’s Lieder eines fahrenden Gesellen with Klangforum Wien in Vienna and Amsterdam, orchestrated Wolf songs with the Budapest Festival Orchestra under Ivan Fischer in Budapest, Brahms Ein deutsches Requiem under Friedrich Haider in Oviedo, Britten’s War Requiem with the Dresden Philharmonie under Claus Peter Flor, Zemlinsky’s Lyric Symphony under Hannu Lintu in Dublin, Mahler’s Lieder eines fahrenden Gesellen with the Tokyo Symphony under Herbert Soudant, Faust in Schumann’s Scenes from Faust with the Bern Symphony Orchestra and Mahler’s Rückert Lieder with the Seoul Philharmonic under Shi-Yeon Sung. Wolfgang Holzmair has an extensive discography, and his recordings have met with critical acclaim. These include lieder by Clara and Robert Schumann and Eichendorff songs by various composers, all with Imogen Cooper (Philips), various Schubert recordings with Gérard Wyss (Tudor), the Austrian Pasticcio Award winning Songs from the British Isles with Trio Wanderer (Cyprés), Pelléas et Mélisande with Haitink and the Orchestre National de France (Naive), and Brahms’ Ein deutsches Requiem with Herbert Blomstedt, which won a Grammy award. He is a committed advocate of works, especially lieder, by victimised composers and he has recorded works by Krenek, Mittler, Zeisl, Schreker as well as a Terezin/Theresienstadt CD (Bridge Records). 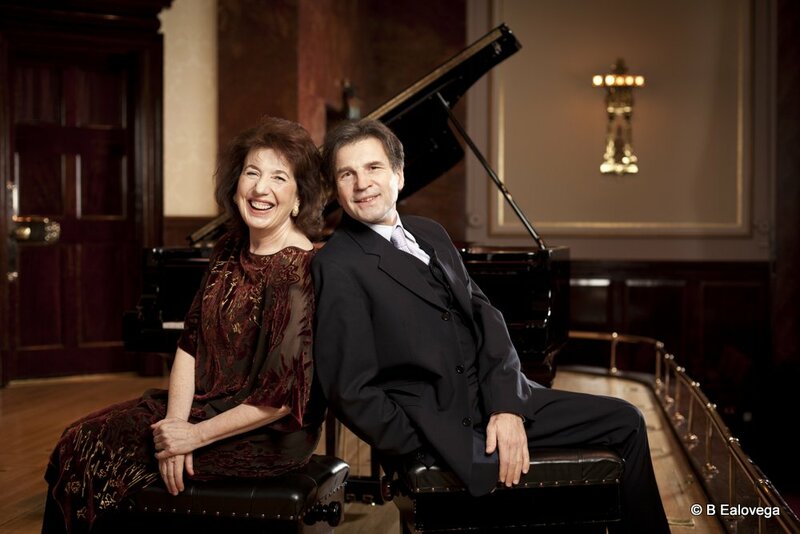 Recent recordings include Wolf Songs with Imogen Cooper (Wigmore Hall Live) and Mahler Songs with Russell Ryan (Nightingale) and Wigmore Hall Live has also released a recording from its archive of Die Schöne Müllerin made in 1994 with the legendary accompanist Geoffrey Parsons. Since 1998 he has taught lied and oratorio at the Mozarteum in Salzburg where he is now Director of the International Summer Academy. ..no other singer of German song at the moment communicates so intently the rhythm and meaning of the poems.